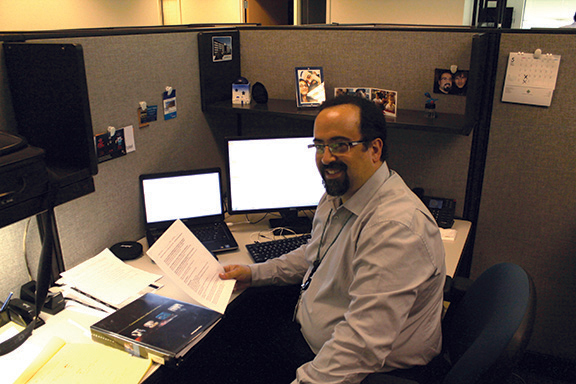 Today’s blog was written by Dino Mallas, a Compunetix Senior Account Executive in the Communications Systems Division. Dino has been consulting conferencing provider customers across Europe for six years. Contact Dino at dmallas@compunetix.com. The hallmark of a successful account executive comes with time and experience. After working with a variety of telecommunications customers and the myriad of customizations and requirements, I’ve been able to proactively gauge customer’s issues by really listening. I’ve been told my finger is on the pulse of the European telecommunications market – and I’m going to let you in on a feature that is poised to become invaluable to customers. In the telecommunications world, it is clear that VoIP is the reigning king. VoIP has opened the doors to cost reducing measures for providers and ushered the way for other advanced technologies such as high definition (HD) audio. Although VoIP has come a long way in the last decade or so, there are still some issues that haunt VoIP providers and users, including latency, jitter, and network problems. Investigating these issues can be very time consuming, and often, the difficulty of finding a concrete solution can lead to customer dissatisfaction. With the increasing deployment of VoIP trunks and services, my customers are frequently looking for ways to proactively avoid any VoIP issues on their conference calls. That is why the new Compunetix feature “Advanced Call Problem Detection and Adaptation” has been met with high levels of enthusiasm. The feature is available exclusively on our latest conferencing system, the Summit Olympus, which is a high capacity, HD platform that offers encryption and all of the high quality features that providers have come to expect from Compunetix. Advanced Call Problem Detection and Adaptation works in real-time. For example, if an HD audio caller experiences issues, this feature immediately begins a proprietary process to alert the operator and caller if the system cannot fix the issue on its own. My customers are amazed, especially because the feature attempts to automatically correct the issue at hand. And, even if the issue cannot be resolved by the system, an operator can discuss the matter immediately with a caller. Before Advanced Call Problem Detection and Adaptation, providers receiving negative feedback from one of their clients would have to search through logs the following day, confirm the issue, and then call the customer back. This is all a very resource intensive endeavor. Imagine, instead, being able to resolve the issue automatically or address the issue in real-time – this is what Advanced Call Problem Detection and Adaptation brings to the table. The reality is that many VoIP issues are caused by networks, firewalls, and things out of the conferencing providers’ hands. Offering an immediate fix or explanation will keep you and your clients moving forward. This and many other cutting edge features are available today on our Summit Olympus platform. Are you interested in this business-changing feature? Schedule a demo with Compunetix today – click here.